Transporting goods from origin to destination point will often take on several forms, depending on the items being transported and the urgency at which they need to make their final goal. For shippers, this is the most important facet of their job — trying to figure out which methods of transportation to use in order to save money, be as efficient as possible, and complete the journey in a timely manner. So, what methods are available to shippers worldwide? There are four primary shipping methods: sea, air, rail and road. Each option provides their own positives and negatives. Most, if not all, long route shipments begin on the road as it heads towards the next step, which is rail, sea, or air. Road transportation often presents shippers with the best viable option. It’s the most cost effective method of transportation, has the most flexible schedule option and, is widely accepted as a safe bet for on time delivery. But it can also suffer from delays, such as traffic and engine malfunctions. Not to mention long distance travel will take longer, and it could be subject to high toll charges, as well as different road and traffic violations. Using rail services is often considered a cheap and efficient option. Left undisturbed, rail will get your shipments to your destination point quickly and, more importantly, safely. It can take on bulkier loads and go over longer distances, and it’s the most environmentally friendly option. Rail’s main pitfall is the fact that it abides by a rigid schedule, especially in less populated areas around the world. It can suffer from frequent mechanical problems, and can increase your overall costs because it will require further transportation from the rail yard. Using air will be the most efficient way to get your goods from origin to destination. It’s the quickest method for getting your delivery on time, but it also comes with additional costs, is subject to unexpected delays and cancellations, and the destination country is at liberty to tax shipments arriving via airport. Once your shipment arrives at the airport, it can be easier to load your goods into a truck, and subsequently have your goods delivered to their destination, than with rail. All of this comes at a cost for the fastest delivery option available. If, as a shipper, you’re not hard pressed for time when delivering goods overseas, using the sea option can be a fruitful one. In general, delivering by way of sea will take the most time out of any option, but if there’s no immediate need to deliver goods quickly, then it becomes less costly and more efficient than air. 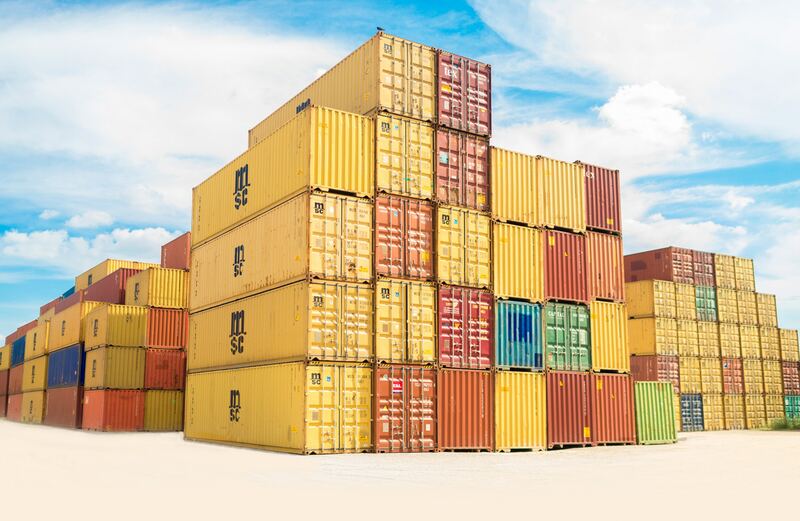 You can use sea transportation for larger volumes, and the shipping containers used on cargo ships are typically multifaceted, meaning they can be moved to either rail or road using the same containers. But, like rail, using sea means you’re putting your goods at risk of being heavily delayed. Regardless of whether you’re pressed for time or not, shipments via sea can be pushed back even more depending on weather conditions. Costs can ramp up as well, since goods will be subject to international duties and tariffs. It’s up to the shipper to evaluate the pros and cons of a particular shipping option while weighing their shipments needs. Does your shipment need to arrive at destination quickly or does it need to arrive safely? The likely response is usually somewhere right in between, and in many cases, when it comes to long distance shipping routes, shippers will be using a healthy dose of all the available options. While many shippers don’t mind taking up the task of getting their goods from point A to point B without a customs broker, there are several reasons why it would be beneficial to hire one. It might be simple enough to determine which methods of transportation are most viable to your business. You can find the right trucking company, use the right sea transportation or discover a cost efficient air transportation company to help you — but that all adds up to the perfect storm. Unexpected costs and delays will occur, that’s simply a fact of the matter. While it may seem easier to go it alone, using a customs broker will alleviate a lot of the unknown pressure. Brokers know about the peculiar laws used in international shipping. They can arrange all of your transportation needs without you having to lift a finger, all while finding you the most cost effective route.